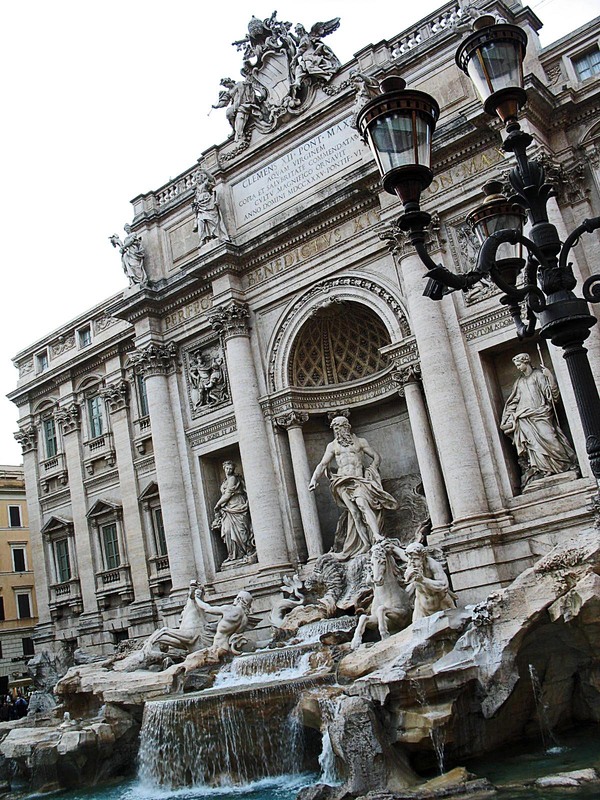 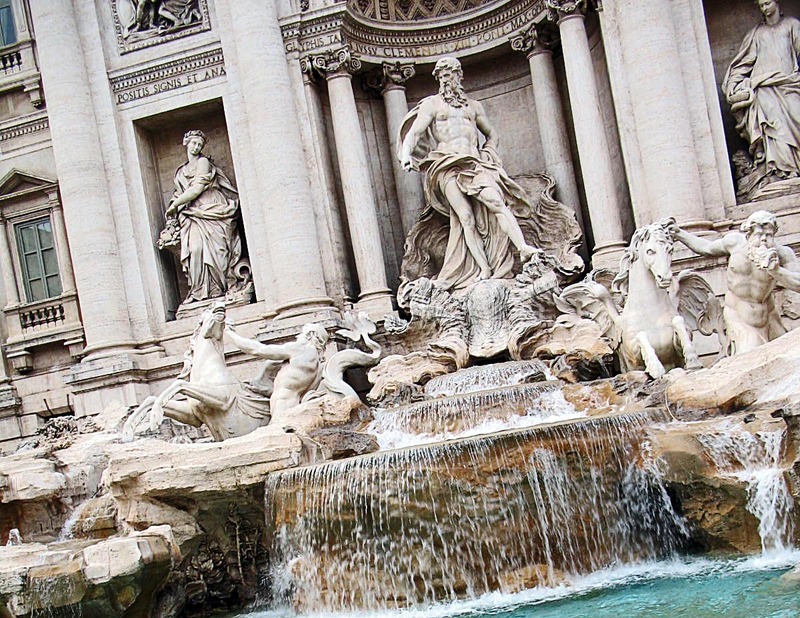 Here are some photos of the famous Trevi Fountain in Rome. It is usually packed with tourists, and there is a legend associated with this fountain. 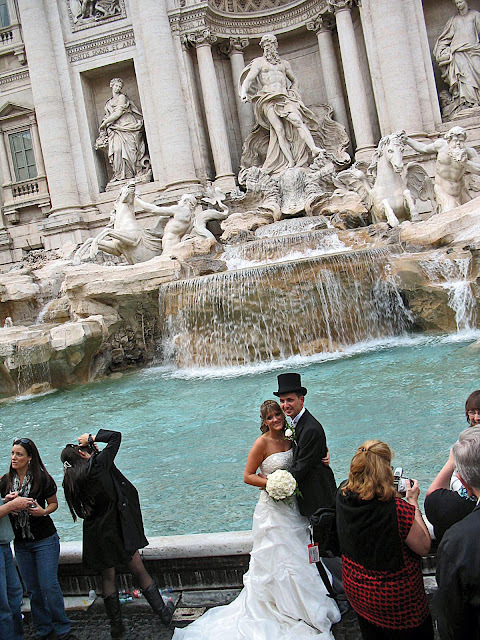 Legend claims that if you throw a coin over your shoulder into the fountain your wish will come true. While we were at the Trevi fountain a newly married couple arrived there to be photographed in their wedding clothes. Related Images: For more pictures of monuments and scenes of Italy try the label "Italy"